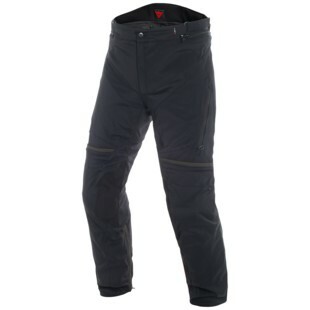 As the colder riding season begins Dainese will be releasing a brand new Dainese Carve Master 2 Gore-Tex Pants to help compliment the Dainese Carve Master 2 Jacket. The Dainese Carve Master 2 Gore-Tex Pants will provide a sleek streamlined look with a removable thermal liner, Gore Tex water protection, as well as some as some additional ventilation zippers to try and cover an all weather spectrum of riding. These pants will also be equipped with certified protectors for your knees and hips to pair with their 3D Stone and Mugello fabric for abrasion resistance and comfort. This pant will be offered in some very subdued all black and black & red color schemes. If you are looking to choose a sleek, all weather flexible pant for tougher weather conditions, this pant will certainly get the job done without making a scene.